Looking for a way to celebrate Dr. Seuss Day? It's almost Dr. Seuss's birthday! 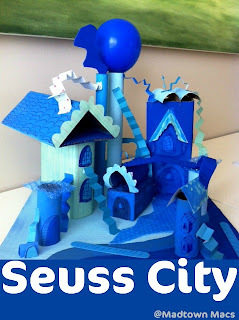 Here's a link to my post from last year when we made a Dr. Seuss City inspired city. Snowed in? This may be the answer to your kid's boredom!